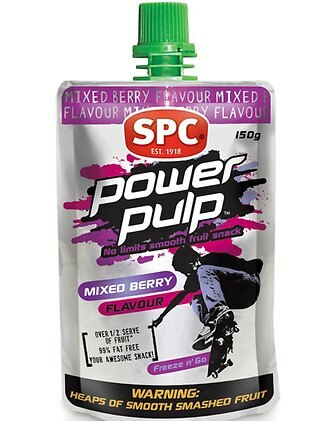 Australian company SPC have taken note of the issue regarding getting kids to eat more fruit by introducing a range of pureed products that create goodness and are fun to use. They’ve taken a very targeted approach to the range with “Power Pulp” tapping into tween/teens’ busy lives, ‘Crush-ups’ suiting the lunch box occasion of a 6-10 year old with the ‘Fruit Squeezies’ aimed at 3-6 year olds. The range suggests fun whether it’s the ‘freeze n go’ message on the ‘Power Pulp’, the graphics of the ‘Squeezies’ or the format of the ‘Crush Ups’. If anyone can make fruit cool these guys can!